Friendless and virtually an orphan, Tessa craves a husband, a home and a baby: above all she wants to be loved. Against her better judgement she attends the wedding of her on-and-off lover, Ian, and finds that the bride thinks it amusing to sit her next to her own ex-amour, Rob Nicholls, but in a manner which takes both of them by surprise they embark on a heady, wholly satisfying romance. After their own marriage, Tessa settles into a regime full of contentment, especially when she discovers she is pregnant. Yet, despite her material and emotional security, she finds that Rob's reluctance to allow her to meet his mother becomes increasingly vexing. Puzzled and a little hurt by his attitude she vows to discover the cause of the coolness between mother and son. Then Linda Nicholls is murdered. 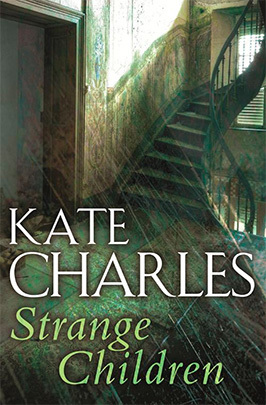 Deeply shocked, but more determined than ever to discover the truth about her mother-in-law, Tessa is plunged into a nightmare world of secrets, where nothing is as it seems, and her own life - and the life of her unborn child - are in danger.